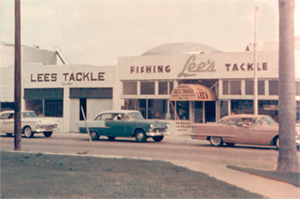 Lee’s Tackle, Inc. is a family owned and operated business that began in 1920 when Edward J. Lee opened a retail fishing tackle store in Miami, Florida. In the mid 1930s, fueled by his love of fishing, creativity and zest for innovation, Roswell E. Lee, Sr. began manufacturing big game fishing reels, rod holders and fighting chairs. His innovative designs revolutionized the sport fishing industry. 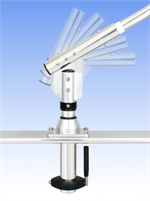 He was the first to use aluminum tubing for the production of outriggers and he designed and patented the fishing rod Roller Top. Today, most of his designs are still state of the art. Over the years, we have continued to introduce exciting new innovations to the world of salt water sport fishing. Our product line has expanded to include over 46 distinct rod holder models, 8 styles of outrigger holders, outrigger poles from 11 to 46 feet in length, a complete line of fighting, fishing and helm chairs in both teak and fiberglass, and other miscellaneous sport fishing equipment. 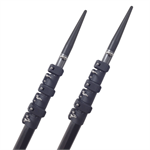 Lee’s Tackle leads the sport fishing industry with innovative ideas and precision engineering. Our designs continue to be the most copied throughout the industry. For 95 years, we have had an established reputation for building the highest quality precision equipment using the finest marine materials. Four generations of Lees have proudly carried on this tradition of excellence and innovation. From its humble beginning in 1920, Lee’s Tackle has evolved into a multi-million dollar international company with worldwide sales. Our success and reputation are the result of our innovative ideas, precision engineering, high quality materials and outstanding workmanship. The Lee’s Tackle family consists of highly skilled, hard working, craftsmen and artisans who pride themselves on producing the highest quality products. Constantly challenging themselves to improve processes and produce better products, our dedicated team has helped us grow and dominate the industry. Inspired by your confidence in us, and your loyalty to our product lines, we continually strive to bring you exciting new products that go beyond your expectations.